The Project Planner app is used to view and manage projects and project phases using an interactive “Gantt Chart”-like view in order to optimize activity sequencing and time and resource allocation. In this topic, you will learn how to create and manage projects from start to finish. Linking activities is done on the dynamic planning board by hovering over the activity and extending the arrow to one or more other activities. This is done in order to ensure that the activities are executed in sequence. For example, if the end of Activity 1 is linked to the beginning of Activity 2, then Activity 2 (the successor) cannot begin until Activity 1 (the predecessor) has been completed. Unlink By selecting this option, you will unlink the activity from the selected activity. 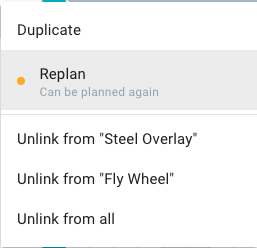 Unlink from All By seleting this option, you will unlink the activity from all activities that it is connected to, both before and after. The Release for Dispatcing option is used to release the activity to the planning module in order to plan and release it to a technician. The Project Management module is part of the Planning & Dispatching application. When this option is selected, it will lock the activity, meaning that the date/time cannot be adjusted unless the Replan option is selected from the more button. Activites that have been released for dispatching can still be adjusted if necessary if they have NOT yet been assigned to a technician and released for dispatching on the planning module. Activites can be replanned by selecting the Replan option from the button beside the activity. The first step is to create or import a project. Projects can be imported using the Data Loader. After you have created a project, you can then decompose it into phases and subphases. After you have defined your project phases and subphases, you can then create the activities that correspond to them or occur within them. When activities are ready to be dispatched to Technicians, they can be released to the Planning board. 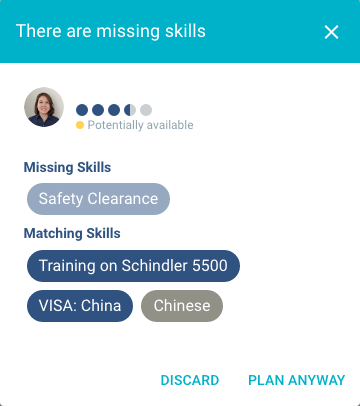 In the planning module, the activities can be dragged and dropped onto the planning board, or you can use the Find Matching Technician feature to find the technician with the best matching skills. The first step is to create or import a new project (for more details on importing projects, refer to the topic on Importing Projects. Title Here you can give the project a name. This name will display in the Project Management dropdown menu. Description Here you can give the project a description. Customer Here you can select the customer associated with the project. The customer data is managed in the Business Partner tab of the Master Data Management module. Project Type Drop down menu. Here you can selectct a type for the project among the one that have been defined in the WFM configuration (currently there is no UI to defnine new Project type in WFM). Responsible Here you can select the employee responsible for the project. This data is managed in the People tab of the Master Data Management module. Contact Here you can select the customer contact. This data is managed in the Contacts tab of the Master Data Management module. Equipment Here you can select the equipment associated with the project. This data is managed in the Equipment tab of the Master Data Management module. After you have finished entering project data, click the beside the project name. Click on the more button and selecting the New Phase option. Repeat as necessary until you have created the phases that comprise your project. You can then create sub-phases by clicking on the more buton and selecting the New Subphase option. Subphases can then be dragged and dropped under phases until the project is fully decomposed into phases and subphases. When complete, you can then create activities and place them within phases and subphases. After setting up the project phases and sub-phases, you can then begin creating activities for them (this can also be completed at the same time you are creating and defining phases and sub-phases). 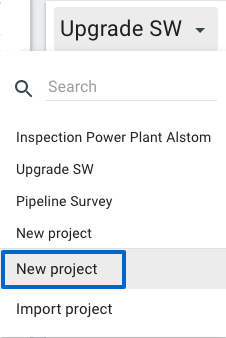 Click on the more button beside the project phase or subphase and select the New Activity option. Repeat as necessary for the phases and subphases as needed. You can now use the dynamic board to extend the activity to increase its time, link the activity to other activities, and drag and drop the activity in other time positions. 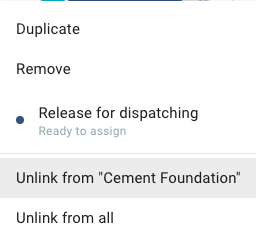 When complete, you are now ready to release the activities for dispatching. Note: The project start/end time is calculatd based on the start time of the first activity and end time of the last activity. Click on the more button and select the Release for dispatching option. By releasing the activity to dispatch, the activity will be locked on the project module. To assign the activity to a technician, you would navigate to the planning module. Next, you will assign the activity to a technician. This can be done one of two ways. 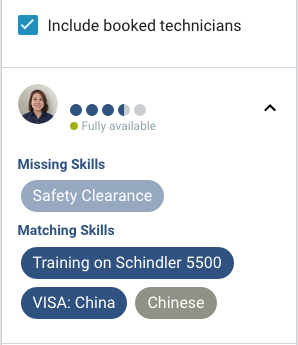 Note: In order to use this feature, there must be skills associated with technicians, and required skills associated with Activities or equipment. 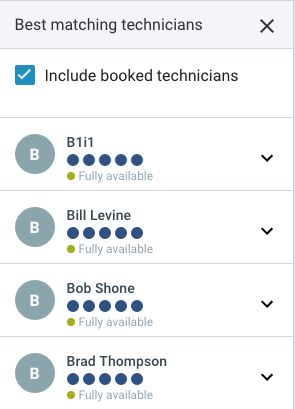 The Find Best Matching Technicians feature allows you to see which technicians are best suited to execute an Activity, as well as provides prompts when Activities with specified requirements are assigned to technicians with missing skills. From the Activity List below the planning board right-click on the Activity for which you would like to view the best-matching technicians. Rating The rating reflects the suitability of the technician for the Activity based on the ratio of matching and missing skills. Missing Skills Any/all skills that are missing from the technician but recorded as “required skills” for the Activty. Matching Skills Any/all skills that the technician possesses that were were recorded as “required skills” wfor the Activty. If you want to proceed with the Activity, select the Plan Anyway option. 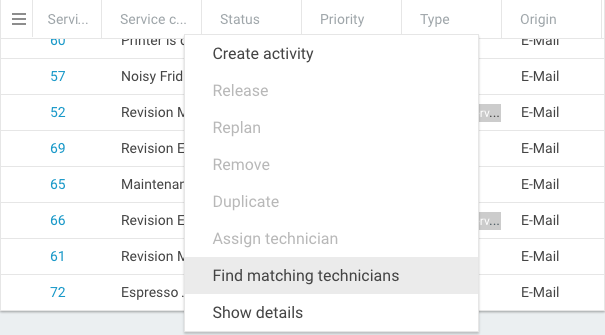 If you want to assign the activity to another technician, select the Discard option. When complete, you can release the Activity to the selected technician by clicking the Release button. Select the activity from the list below. Drag-and-drop the activity onto the technician’s schedule. When you have found the optimal time and technician to complete the activity, click the Release button.